Engagement, according to Schaufeli et al, is “the positive, fulfilling, work-related state of mind characterized by vigor, dedication, and absorption” . Time and time again, it has been proven that with an engaged and captivated workforce comes an endless amount of benefits. 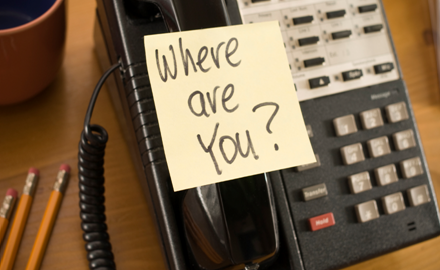 So where, it could be questioned, does the link between absence and engagement lie? And more importantly, what does this tell us about the future? 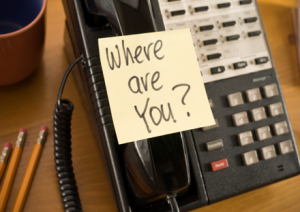 When it comes to absence and engagement, there is no denying the substantial link between the two. It is simple: if you do not feel completely comfortable, content and engaged with your work, you will be less likely to attend, increasing the number of days you are absent and therefore, not truly fulfilling your role. A Gallup Study, which looked at data from over 23 thousand business units, proved exactly this, revealing that engaged employees take an average of 2.69 sick days a year, compared to that of disengaged employees who take 6.19 days. But what are the main reasons for employees feeling disconnected and unengaged in their workplace and how does this eventually lead to a severe lack of attendance? Perhaps the most fundamental reason for employees regularly calling in sick to work, is due to an overwhelming discontent with their job. When employees are forced to complete the same tasks day after day and have a limited and restricted role within an organisation, they begin to find their job mundane and monotonous. Employees lose satisfaction and commitment, and eventually become unengaged, when they see that there is no opportunity for widening their knowledge or progressing in their existing work environment. When job satisfaction begins to decrease, absenteeism understandably increases. 85% of the world’s most admired companies believe that efforts to properly engage employees and ensure their job satisfaction, has reduced employee performance problems . It is not hard to understand that when an individual has a severe lack of interest and commitment, they will not be as willing to attend as an engaged employee. Hence, the connection between engagement and absenteeism, and the undeniable power that engaging employees can have on improving the attendance of a workforce. Another overriding reason for employees to be absent from work is the lackadaisical approach that some employers take, failing to apply efficient systems or effectively address issues of attendance. Employers that take no action to recognise behaviour, neither good nor bad, will be left with a disengaged workforce who are less likely to report to work. When there are no incentives for good attendance, such as employee of the month, financial rewards or even something as simple as praise and recognition, employees begin to feel as if the hard work and dedication they are injecting into their tasks goes unnoticed and is not appreciated. This in turn, results to them becoming unengaged and more prone to unnecessary absences. Similarly, when there is no action taken to combat poor attendance, employees begin to take advantage, making lateness and absence a regular occurrence. If an employee is absent, there ought to be proper punishments and consequences for their actions, in order to remind them such actions will not be tolerated. Forcing an employee to do overtime or reducing their pay is just some of the measures that can be taken to encourage them to take their attendance at work more seriously. Without such a system, employees will not feel as obligated to maintain a perfect attendance, once more, highlighting the possible link between engagement and absenteeism. When management poorly and unfairly treat employees, it creates an environment of negativity and hostility, which affects even the most dedicated workers and makes them less engaged and connected with their work. This, in turn, creates a deficient and inhospitable working environment, which makes individuals more eager to take time off. Mangers who employ an authoritarian style, often micromanage employees, bossing them around and causing them unnecessary amounts of stress, which can lead to them, taking time off from work. This is especially true in the case of junior and less experienced employees, who would much rather not report to work than be involved in disagreements and confrontations with demanding and unrealistic bosses or colleagues. On the other hand, employees who are fairly treated and rewarded, have a good working environment and a valued voice within the organisation, are more engaged and less likely to take time off work. This is a statement, which Claudia Menne, from the European Trade Union Confederation, agrees with, stating that “if employees feel involved in discussions over redeployment and changes in working practices, they are far less likely to go off sick” . Stress causes employees to become disengaged, which also then leads to high absenteeism. When simplyhealth carried out a study aimed at identifying the main reasons for absence in the working environment, they found that stress was a key factor. The study revealed that a staggering 46% of employees were stressed, and less likely to attend work, due to their workload. . Evidence has proven that in circumstances where employees feel under an increasing amount of pressure to perform and maintain results, there are more likely to be short-term absences. A huge part of effectively engaging your employee base is making sure that they are content and capable of managing their workload. When employees are forced into dealing with stressful and uncomfortable situations such as intense meetings, they begin reporting in “sick” or have “family commitments”. Currently, employee absence is at an all time high, and shows little or no signs of improvement from preceding years. Since 2013, statistics have shown that there has been a dramatic rise in absence levels, by almost a day per employee . With CBI releasing figures, which confirmed that the annual cost of sickness absence to the UK economy was over £17 billion,  it is not hard to see that there is a serious problem in terms of absence, most of which can be contributed to poor engagement amongst staff. Having identified a clear and distinct link between engagement and absenteeism, it is vital to think about what the future holds and how the two can once again have a harmonious relationship. In the direction we are currently moving in, things are not going to improve. Year upon year, statistics are echoing what we already know; engagement and absenteeism is still a huge on-going issue that has not yet been addressed and as a result, continues to fester. In order to move forward and for the situation to improve in the future, we need to think about different and innovative ways to tackle this problem. First and foremost, companies need to embark on line manager training. Actively participating in line manager training will provide managers with the appropriate knowledge and skills required to deal with absenteeism and combat the issue within the workplace. When managers can continuously engage employees and ensure they are satisfied with their work, everything within the organisation will improve, including absence. Furthermore, organisations need to be more clear and direct when it comes to their absence guidelines and policies, punishing and reprimanding employees when it is considered necessary. The guidelines that are implemented should be thoroughly negotiated and clarified with workers and in the event where these are not properly followed, employers ought to discuss the absence, making employees aware of how this impacts others and the knock-on consequences it can have to other employees and the organisation as a whole. Additionally, if there are any structural or hierarchical issues, these too, ought to be addressed and solved, making employees feel like they are a valued and integral team member. Putting simple measures like these into common practice can result in the creation of a more engaged and engrossed workforce. Thus, leading to employees improving and maintaining a sound level of attendance.